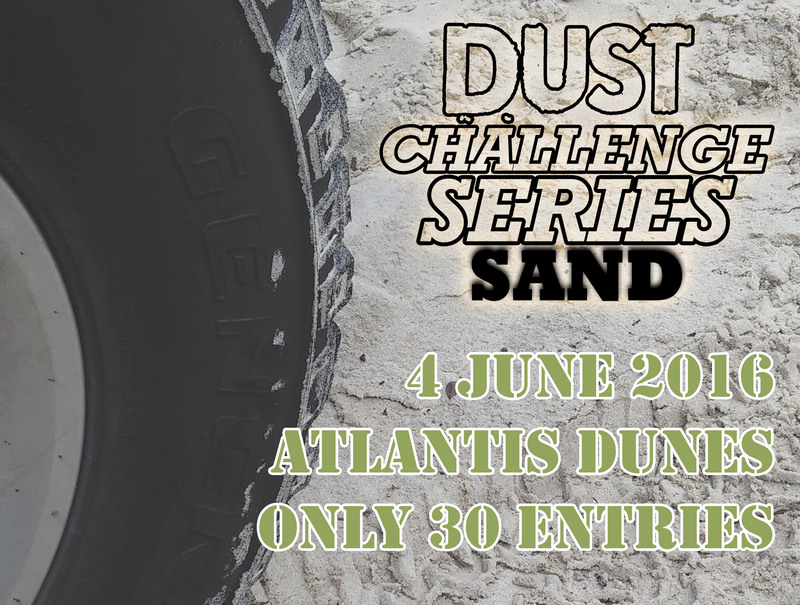 The second instalment of the Dust Challenge Series has come and gone, and by all accounts, it was as exciting as the first, which only predicts good things for this exciting and different way of hosting a 4×4 competition. The podium finishers (from left) Luzinda and Frans Bouwer (1st place – Ironman Recovery Kit from 1st Outdoor & 4×4), Willie Mostert (3rd place – Hi-lift jack from Autozone, Bellville) and Janene Breez and Niel van der Spuy (2nd place – DSTV Xplora Decoder from ElectronicsInc). A day in the Dunes at Atlantis is always loads of fun. Sun, sand and dunes to charge and navigate was at the order of the day as 18 competitors lined up to tackle the sand. After a later start than normal – it was a Saturday after all and a quick cup of coffee for some, the competitors lined up for the prologue. This is becoming a distinguishing factor of this series, as competitors are challenged before they even start with some or other mundane task that they should be doing often. For the first event they had to change a wheel, and for this one, one wheel had to be deflated and inflated again. Not only does it get the blood pumping, but it serves two important purposes. It gives everyone a fair chance to get the all-important pole position for the start, and it also randomises the numbers under which competitors take part, which makes the scoring fair. That means all competitors are just a number on score sheet, and we only find out which one won, after the final scores have been tallied. For this event, the World Famous Atlantis Dunes Friday Arvie Club’s Frans and Luzinda Bouwer defended their honour and walked away with the spoils in his Jeep Wrangler. The deciding factor swaying the score in their favour was his navigation. But being in the dunes every Friday has its advantages. Even though Luzinda said that there were a few heated moments when they had a bit of a tiff about navigation, in the end they came out of the dunes all smiles. Another big smile was on the faces of Niel van der Spuy and Janene Breez, also in a Jeep Wrangler, who took second honours. 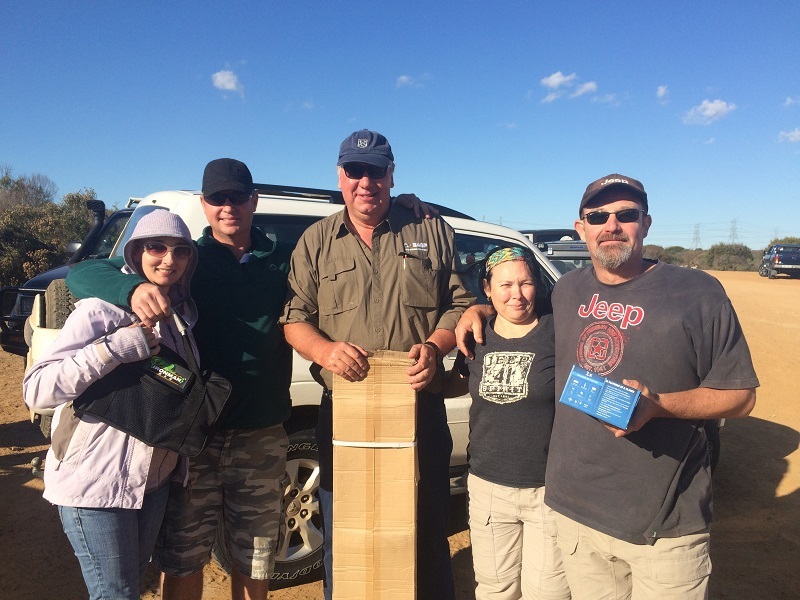 Third place went to Willie and Willem Mostert in their Suzuki. For the second time at the second event, Elrico Koen and Pierre Genis missed out on a qualifying spot for the grand final with only a few points. The fourth place went to them, and Elrico is slowly making that positon his. But some of the upcoming events will play into Elrico’s strengths from years on the Challenge circuit, and he is sure to make it up and clinch an all-important podium finish to claim his spot in the Tankwa Karoo. At the moment though, he is sitting comfortably on a wildcard entry into the final after the first two event, but as they say, you don’t win the Currie Cup in April. In fifth place was Hannie van Rooyen and Rustie du Preez who showed that not only Jeeps, small cars and V8’s can handle the Dunes, but Navara’s are also up to the task. This was echoed by Rieger van Rooyen and Piet van Heerde in sixth with Rieger’s 80 Series Land Cruiser. The rest of the top ten was made up by Corné “Sometimes Clutchless” du Toit, who only narrowly misses out on a wildcard spot, first time competitor, Danie Lotter, the third place winner from the previous event, Charles Muller and Heini “Difflock” Tait with his navi who takes it all as serious as a heart attack, Bernard “Nylock” le Roux. With this second top ten finish, they grab the third wildcard slot, and will be hoping to keep it to also venture into the Tankwa at the end of the year. Special mention should be made of three competitors on the day. Thomas Chambers impressed everyone with his Volvo XC90’s prowess in the sand. Not only did he find all the unmanned checkpoints, but he got the most gloriously stuck and unstuck of everyone. A big thanks to those who helped him get unstuck. round of applause from all competitors still hanging around, waiting. The next event will take place in August, and will veer away from the adventure based challenges, and move more towards traditional challenges, but still with a twist. Keep your eyes peeled and make sure not to miss the opening of the entries. Full table of scores for the Dust Challenge Series: Sand (Full log can be seen here).